Buy this item and earn 1,031 ClubPoints. 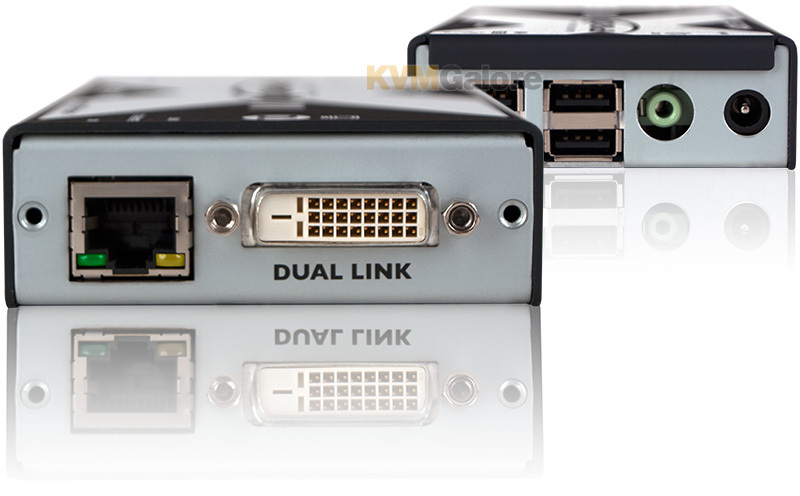 AdderLink X-DVI PRO DL is a high performance KVM (Keyboard, Video, Mouse) extender that enables you to locate your critical computing hardware in a secure and temperature controlled environment away from the user work station, while maintaining the same user experience. It can transmit a dual link video stream, USB 2.0 and analog audio over a single CATx cable. X-DVI PRO DL allows you to remote your monitor with resolutions up to 2560x1600 @ 60Hz up to 164 feet away from your computer. Using a visually lossless technique, no visible artefacts or latency are introduced allowing you to be certain of quality and control. Video, USB 2.0 (low and full speed) and audio pass along a single cable, providing up to 50 meters of extension. Distance is dependent upon video resolution, CATx cable type and the number of connection breaks for patch panels and wall plates. See SPECS tab for details. Enables connection of any human interface device from mice and keyboards through to graphics tablets, jog shuttles, joysticks, 3D explorers and mass storage devices. Full speed (12 Mbps) isochronous devices are also supported. 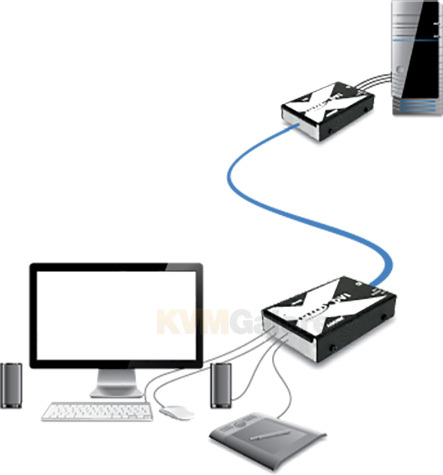 X-DVI PRO DL extender is designed to be highly power efficient and consumes less than 6 watts per point. 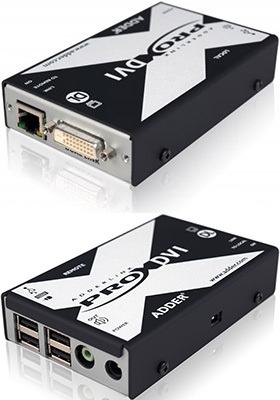 AdderLink X-DVI PRO DL extender is delivered in a zero config state so you can plug the units in and start working with them straight away. There is no need for drivers or software to be installed. Stereo CD quality (stereo channel 16 bit sampled at 44.1 kHz) is available to transfer audio from local to remote for line out. Adder Technology have a well-earned reputation for creating products that perform well. The AdderLink X-DVI PRO DL is no exception and features tough, yet lightweight metallic enclosures to ensure they can easily withstand everyday treatment. The internal components and external connectors too are selected for their reliability in addition to their high performance characteristics. 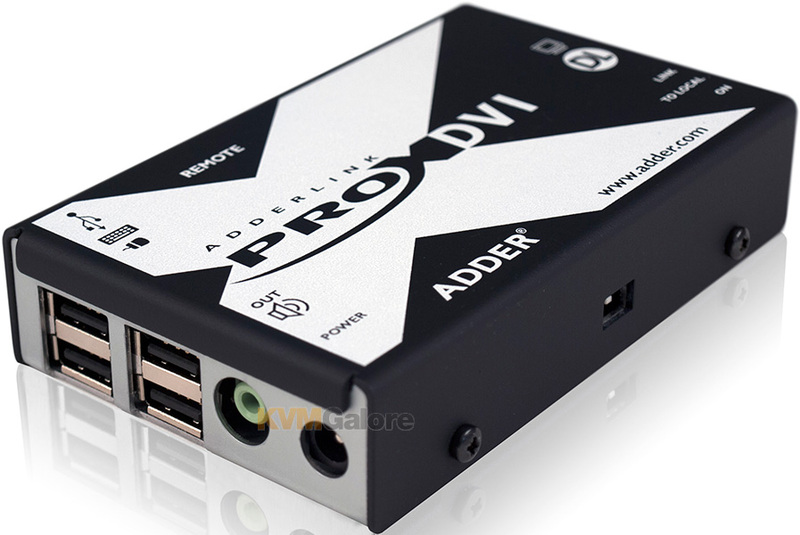 Listed below are additional products to consider which are compatible with AdderLink X-DVI PRO DL. These items may be required to complete your system.